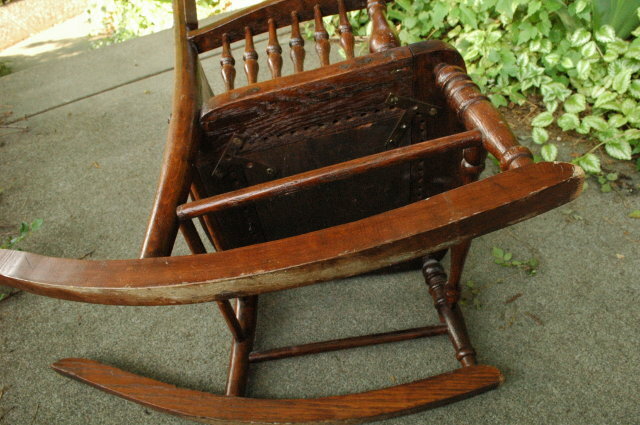 Old Pressed Back Child's Rocking Chair. It is really sweet. It has the original dark stain . 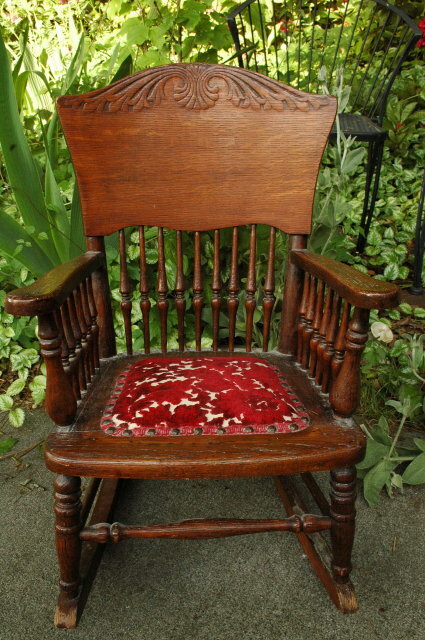 Originally it had a caned seat but now it has a velvet tapestry upholstered seat. 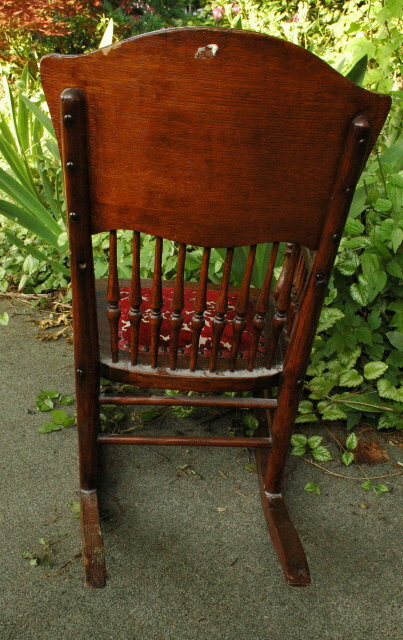 The holes for caning are still visible. It is about 16in by 22in by 25in. The condition is very good for age. There are a few scratches here and there. 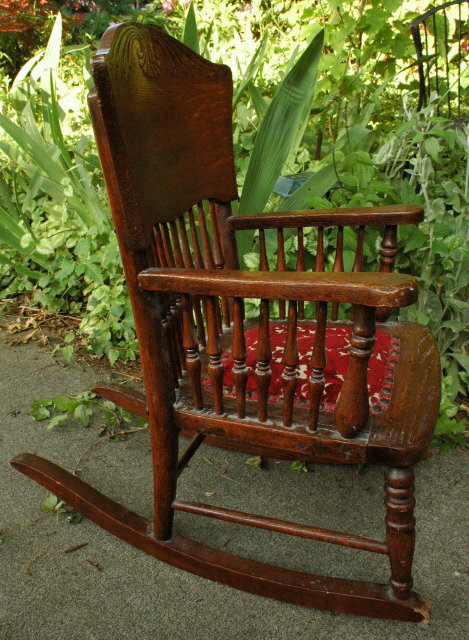 Items Similar To "Old Pressed Back Child's Rocking Chair"